Playing games with live dealers as opposed to computers is more fun and engaging. It helps you break the monotony of playing on your computer. 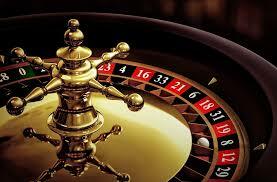 You will have a wide choice of your favorite table games. Below are the live games that most casinos offer. This game uses a wheel-shaped structure. It lets players place bets on numbers and colors. It uses red and black colors. The numbers can be even, odd, single or in groupings. In determining winning numbers and colors, a croupier rotates the wheel. In the opposite direction, it spins a ball. The ball then loses momentum and falls into one of the pockets on the wheel which have numbers and colors. The sole aim of playing Blackjack is recreational. This is a card game between several players and one dealer. The players do not compete. Instead, they take turns to play against the dealer. One or more decks are available. Each deck consists of 52 cards. Players range from 2-7. Each player gets two cards. One faces down while the other faces up depending on the casino. Jack, Queen, and King (face cards) have a value of 10 while Aces have a value of 1 or 11. The value of cards determines your hand value. When all players complete their hands, it is the dealer’s turn. Players win by having a total higher than the dealers. A push occurs when the player and dealer have the same total. This game of Chinese origin is popular in Asia. You play it using three dice. Playing the game requires you to bet on a certain condition that the dice will achieve when they roll. Players place their bets on the table. Online casino games have made players feel that they miss out the real casino experience. They miss the queues, human connection and buzzing machine noises. These live casino games will give you memorable experiences.